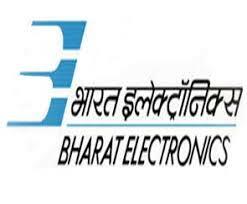 Bharat Electronics Limited Jobs Recruitment Notification 2019.BEL inviting applications for the positions of Senior Engineer, Deputy Manager.Interested and Eligible candidates can apply for the positions. Last Date for Submission of Application is on April 24th, 2019. 1. B.E. / B.Tech/ AMIE from AICTE approved College/Institute or a recognized University. First class in the indicated qualification for General candidates. Pass class for ST/PWD candidates. 3. Experience: Min.4 years of experience in site execution, estimation, coordination, quality control, billing, etc. maintaining site records, knowledge of CPWD specifications and IS codes. Candidate should have handled the contract and closing of projects. Candidates should have knowledge and proficiency in the use of computers. Application Fee: Candidates belonging to GEN/OBC category are required to remit an amount of Rs. 500/- towards nonrefundable application fee. 3. Experience: Min 8 years of experience in project and construction management. Experience in site execution/supervision of construction related works involving earthwork, building works, RCC works like the foundation of structures, civil engineering projects, estimation, tendering, rate analysis, etc. Candidate should have handled the contract and closing of projects. Alternately candidate should have experience in coordination with various agencies involved like a client, consultants, contractors, etc. with knowledge of CPWD specifications. Candidates exposure to AutoCAD & Microsoft projects will be preferred. Selection will be through a Written Test, followed by Interview (only for those candidates who will be shortlisted based on their performance in the written test). 4. OBC Category Certificate (OBC Caste issued on or after 01.04.2019).